Hello! Yesterday I had the chance to go to the Arizona Cardinals first preseason home football game! 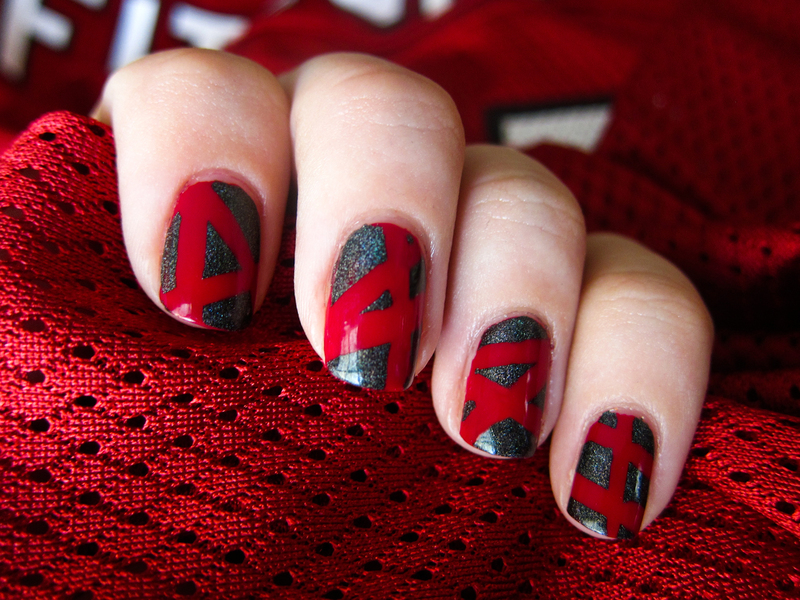 I had so much fun, and OBVIOUSLY I had to take the opportunity to do a Cardinals-inspired manicure! 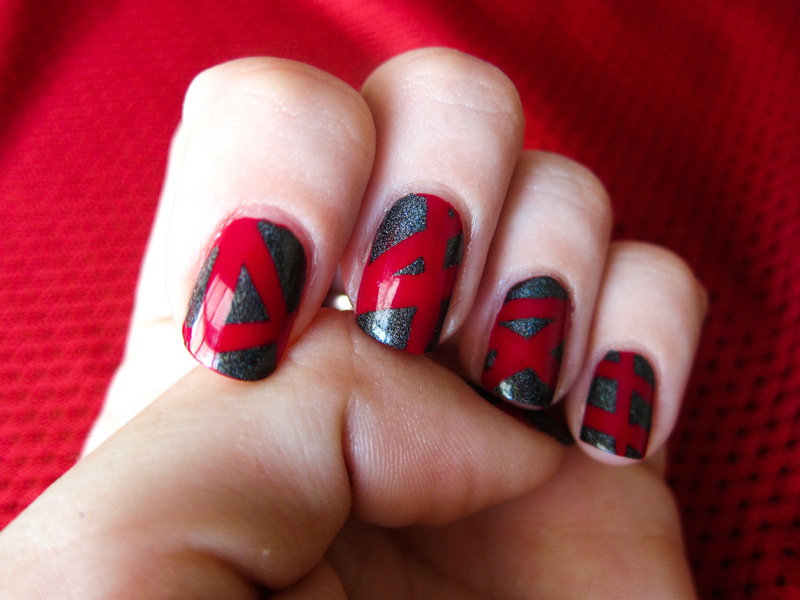 I decided to try out a Nailside-style tape manicure. I started with a base of OPI's Manicurist of Seville, and then once that was dry, I randomly added strips of tape across my nails. I then added Revvvolution on top by Color Club (which, by the way, is a faint holo polish!) and peeled the tape off. 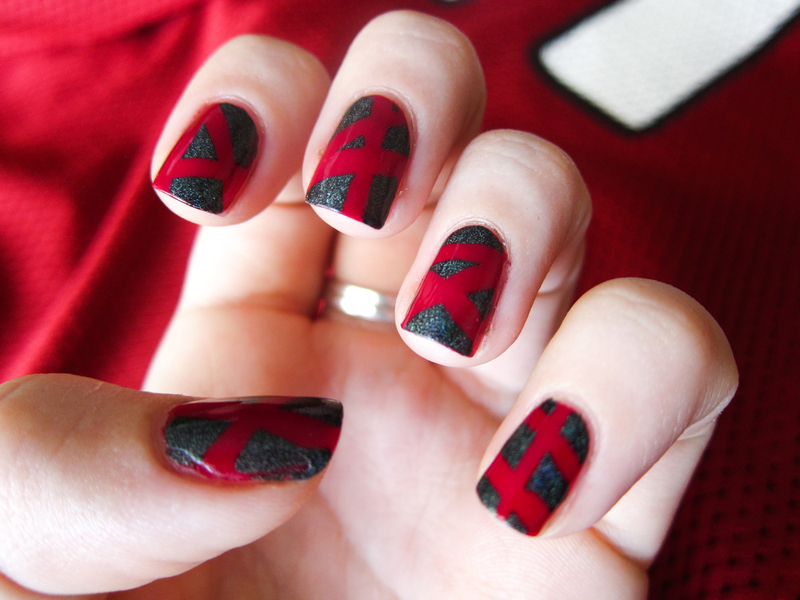 Finished it with Seche Vite! Sarah, this is sooo darn good!! LOVE IT! Thank you all! I love tape manis but rarely have the patience for them... haha! Are you in Arizona?!?! I don't think I know of any other nail bloggers in Arizona!